This was my third trip to Tanzania and I continue to be impressed by the works of Jesus Christ. There were 18 of us representing Kingsland Baptist Church for the specific purpose of proclaiming Jesus Christ. Our preparation prayers were for softened hearts, courage and strength and open doors; all were obviously answered. We have all been encouraged to write our reflections and what you will find in common with 18 different souls is Jesus Christ. It brings to mind the Great Commission in Matthew 28:19-20. This year, we had 5 women with us and they seasoned the trip very well. One decorated our table with flowers that grew wild there and we pay good money here for. The ladies really involved the young children with singing and acting and were a tremendous addition to the Safwa women who have stayed in the background on previous trips. Our ages ranged from 15 (Brianna Crenshaw) to 82 (Holloway Sinclair, who had a birthday cake of tortillas, peanut butter, honey and a stick for a candle prepared for him by Tammie Benoit). Our mornings consisted of devotions, community, singing, and prayer. We also walked to the villages, proclaiming Jesus Christ to all. 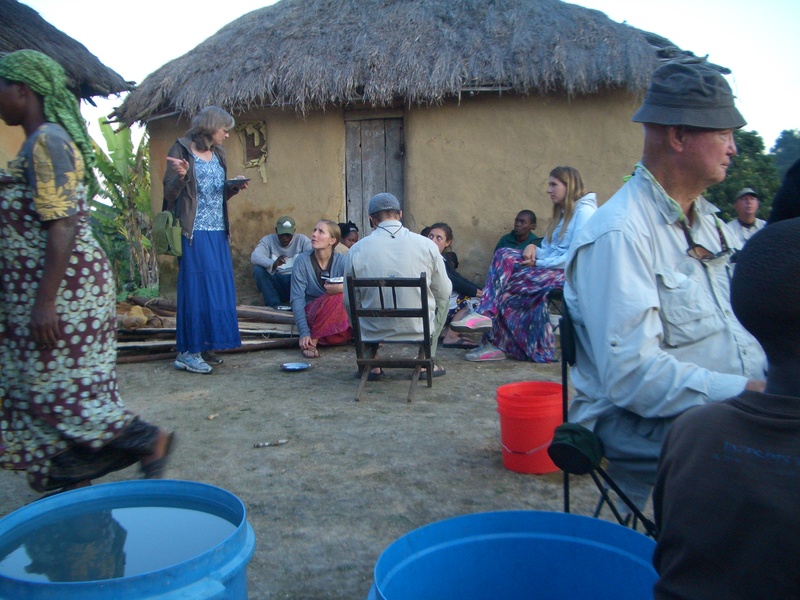 We divided into 5 teams with a local church member as a guide and at least one interpreter. We also taught structured class room lessons included the following topics: What is forgiveness? | Understanding Conviction, Confession, Repentance | The Need to Gently Restore | Being Peacemakers | Opportunities Found in Conflict. After each lesson, teams were split into small groups to further discuss the subject and seek applications in which they could have applied what they learned. 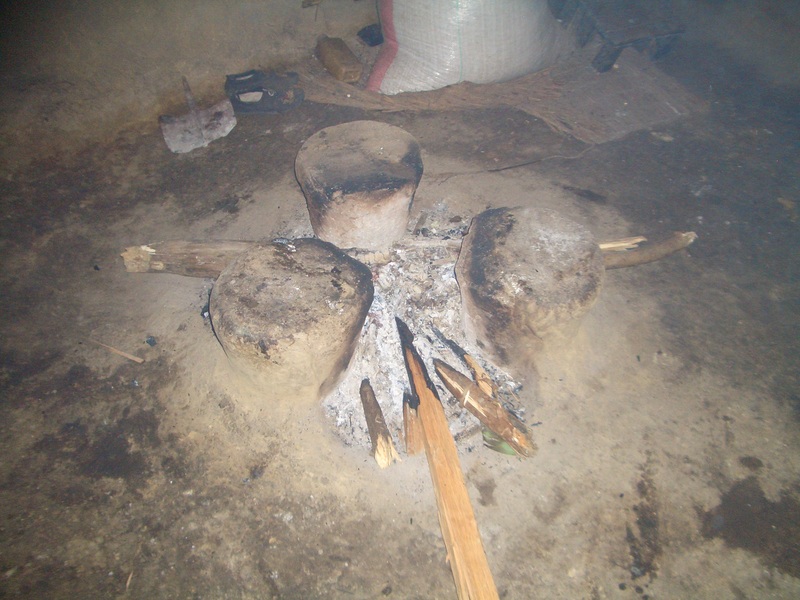 The noon break consisted of eating ugali plus a vegetable (note: no meat) and more breakout sessions. 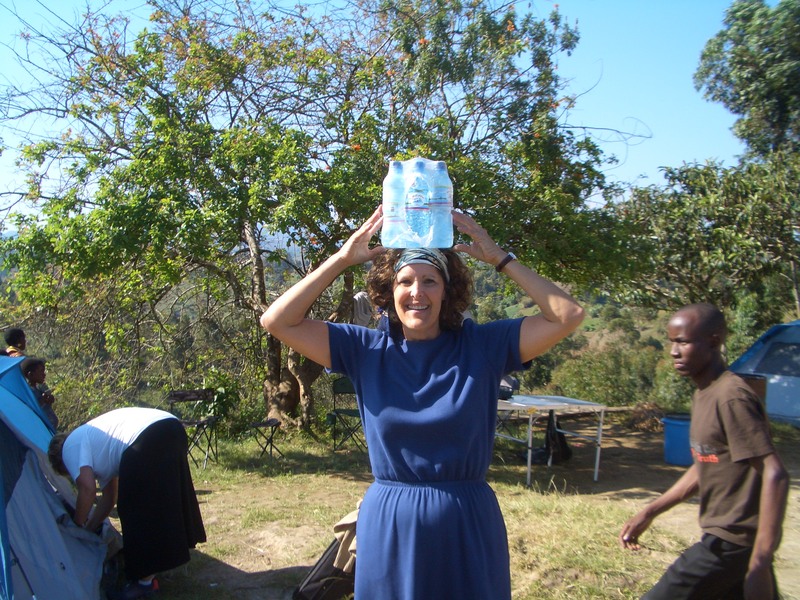 The afternoons were devoted to walking to the villages, proclaiming Jesus Christ to all. 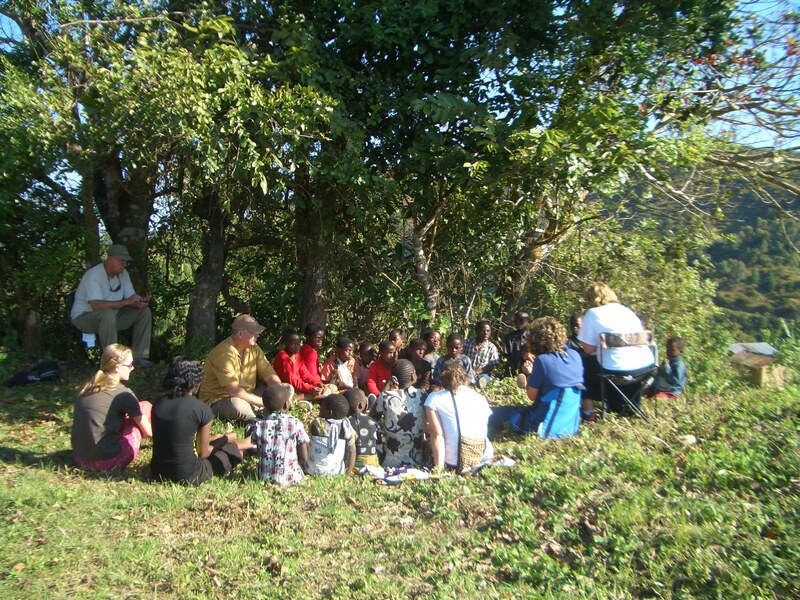 We divided into 5 teams with a local church member as a guide and at least one interpreter. We also taught structured class room lessons emphasizing the security or assurance of our salvation. Other topics included: No Longer a Slave to Sin | What Jesus says about Eternal life, Judgment and Condemnation | In what do we boast? Faith counted as righteousness, justification as a free grace gift. | Adoption as Sons and Heirs to the Promise. After each lesson, teams were split into small groups to further discuss the subject and seek applications in which they could have applied what they learned. Our evening sermons were on The Holy Spirit and led by Mike Kelley, Weston Benoit, Amy Benoit, Tammie Benoit, Ross Sinclair and Karl Kurz. We also found a director in our midst. Amy wrote screen plays to be acted out in this series using the Kingsland team mixed with Safwa tribesmen and this was done on the spot. After the evening sermon series were concluded each night, the Jesus film was shown drawing hundreds and converting some. Terry Waltrip aka Inspector Gadget was the producer and director for the series; the nights were cold and yet the team persevered. Our church services were filled with praise and worship. I believe the Temptations, Michael Jackson etc. may have gotten some of their dance steps from Africa. Dance steps were in perfect harmony; song leading exchanges were done without missing a beat and no arguments about who would be next. As a matter of fact everything that we observed was in harmony and with honor. On Sunday, July 8, I was requested to travel to a remote village and perform the church service there; the local members were waiting when we got there and treated us to a fine praise and worship service before the sermon and blessed the team as we left to go back to our camp ground. When we arrived to our camp site at Ifumbo, I was asked to be the arbitrator between two church leaders that had been at odds with each other for fifteen months. I accepted because I knew that we are all instruments of the Lord and after a few sessions at the end of the night, the two leaders were reconciled. Again this was a great insight to the working of the Lord in us and through us. 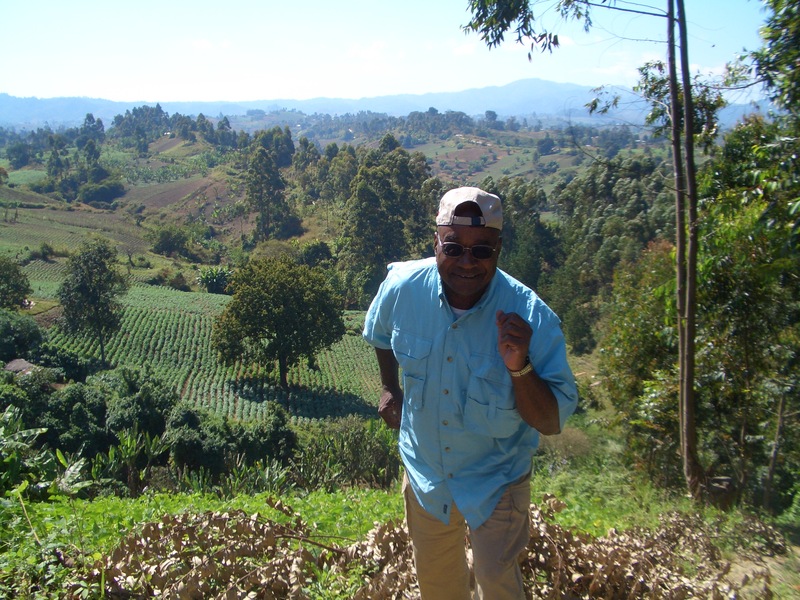 When I was not in the classroom, I “walked the villages.” The scenery in southern Tanzania is absolutely gorgeous. I hit the ground twice but encouraged my walk-mates to keep it a secret. My experience was different from my team mates due to the total body color difference and it drew much attention. A common question was what tribe I belonged to. So on more than one occasion I explained how African-Americans were brought to America and families were split up with names changing from one plantation owner to another and the difficulty associating with a tribe other than the best one: THE TRIBE OF JESUS CHRIST. I told them that we could trace our family to grandfathers but not beyond that. 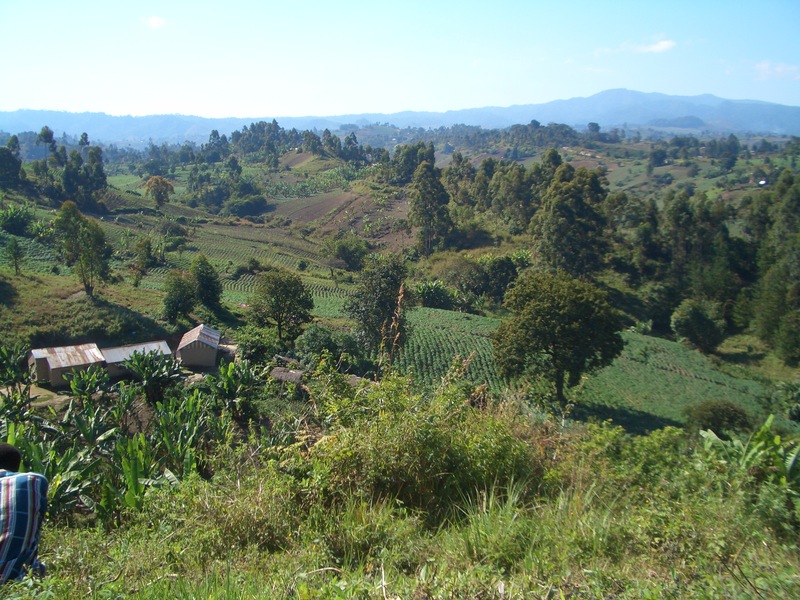 Many Tanzanians claimed me as one of theirs and my response was to give me some of that beautiful land which was agreed upon. • Only Jesus could be saved and no one else. • I have four wives and would not want to hurt 3 if I only chose one to keep. • The church does not want me in attendance because I always have a little drink before I go and the smell offends them. • I don’t want to change things from the way they are. • Christ was a white man. • I don’t want to go to church until I clean myself up. There were many more during the entire trip but all were very similar. The point being is that man can justify his own desires anytime he wishes to do so. We visited a local school. The principal had asked that we come and teach the children about Jesus. (WOW). My team had the 5-7 grades and there were a total of 76 in this group. The team consisted of Lauren and Phil Zito (married for 15 months and 23 years of age), Travis Sinclair and Weston Benoit (both 24) and Brianna Crenshaw (15) so since I was the eldest I played God in all of the scenes that we enacted before them so that all I had to do was to speak the world and everything into existence and they actually played the roles of Adam, Eve, Lucifer/Satan, holy angels, Abraham, Noah etc. The children were very positive and gave us their complete attention. It was a great time for all. I would love to know about these children and how the Lord has purposed each of them. Two teams were sent to this school, the other team had grades 1-4 and reported similar responses. On one walk we had 3 interpreters and needed all three: one was English to Swahili, another from Swahili to Safwa and the third was Safwa to Sukuma. Although Swahili is the common language in Tanzania, not everyone speaks it. All speak their tribal languages (there are 120 tribes officially). However, I cannot see how anyone would know for sure. Each tribe has its own religion and its own language. When you consider this you can easily see how great the prayers for successful ministry were so important. The young people: Weston, Travis, Brianna, Lauren, Philip and Amy were great contributors and all indicated that they would return next year. These youngsters could have been having fun with their friends and chose to proclaim the gospel 13,000 miles from home without the benefit of pizzas, television, movies, etc. I am very proud of them; they represented the silent generation very well. 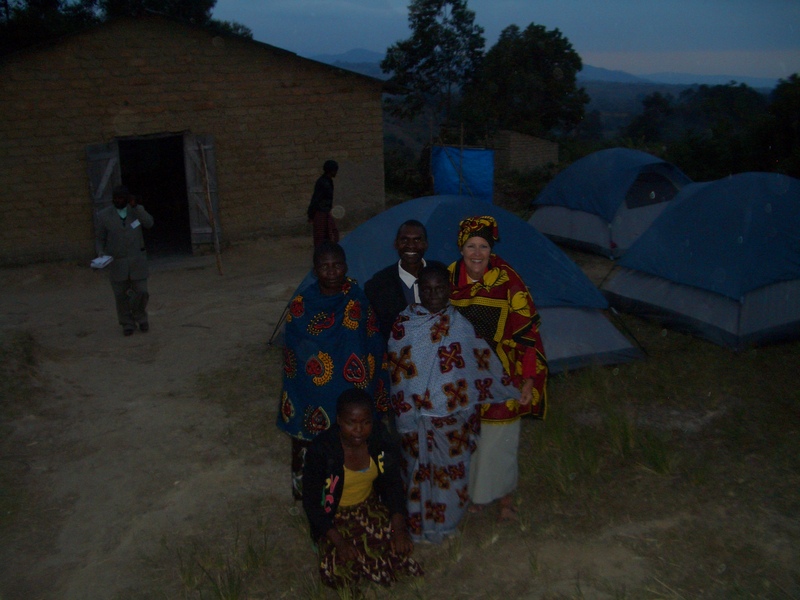 After our ministry work was completed in Ifumbo in the Mbeya region, we broke camp before sunrise to come down from the volcanic region; it took us 55 minutes to get down to Mbeya and a paved road so we were rocking and rolling down (literally) being tossed about inside our safari trucks physically but not spiritually. 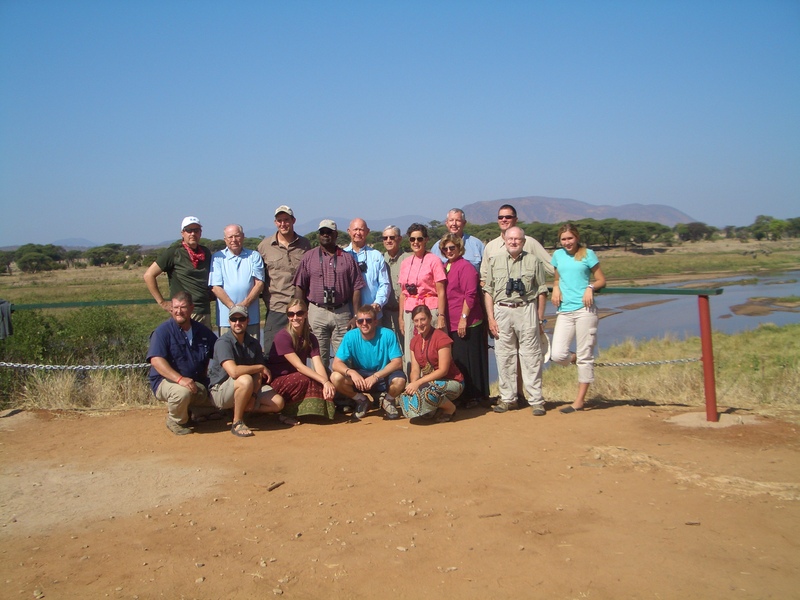 Once we made it to a paved road, we headed north to Ruaha National Wildlife Park; at last a real bathroom and a game drive featuring the king of the jungle and everything else. I thank you for allowing me to be a small part of a great work that was led by Jesus Christ to reach those in the outermost parts of the world. Our campsite was between 2 volcanoes. The altitude ranged from 5700 feet to over 9000 feet and each step could vary 6 inches or much more. Enjoying Mama Naomi’s fixings are Holloway, Richard, Pastor Nelson and team lead Bill Crenshaw (left to right). Looking down from our base camp. Carol Sinclair is doing her best to display her ability to carry a burden as the women of the tribes do with Tammie in the background and Richard, one of the interpreters to her left. Carol is celebrating her 25th wedding anniversary here. Kingsland Baptist Church entering the Park; beginning with the top left to right: Karl Kurz, Curtis Casburn, Travis Sinclair, Gil Gray, Holloway Sinclair, Terry Waltrip, Carol Sinclair, Tammie Benoit, Bryan Sinclair, Bill Crenshaw, Mike Kelley. Bottom row: Ross Sinclair, Philip (Tatu) Zito, Lauren Zito, Weston Benoit, Amy Imel, Brianna Crenshaw and David Sinclair. 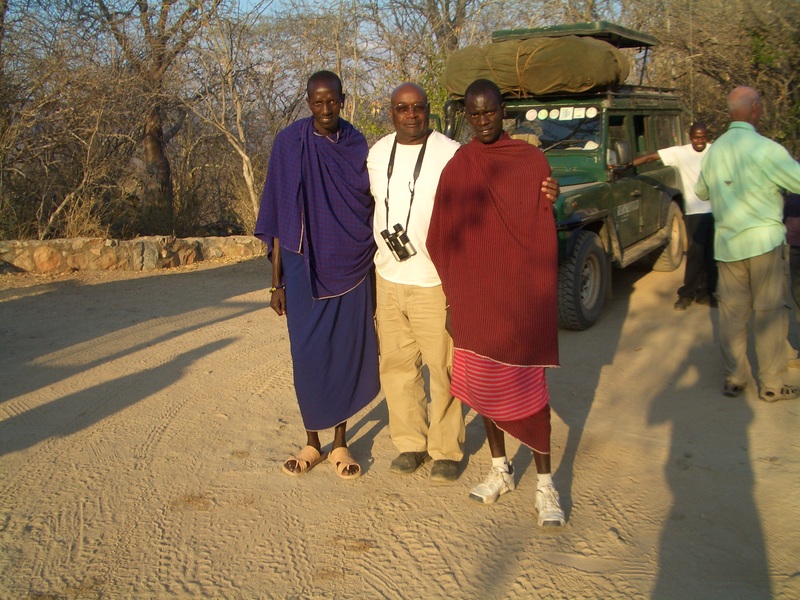 Leole and Elias were two of the Masaai that we required as escorts at night to get us safely into our rooms. 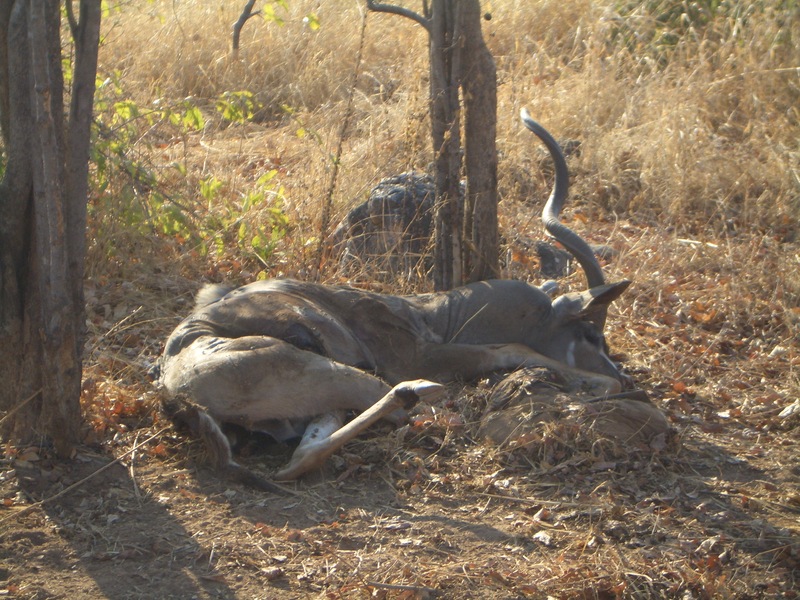 This was a greater Kudu before the queens of the jungle saw him, later all that was left was his horns. Awesome reflection Mr. Gil!! Thanks so much. Great pics too! Gil, so great to be a friend of yours. 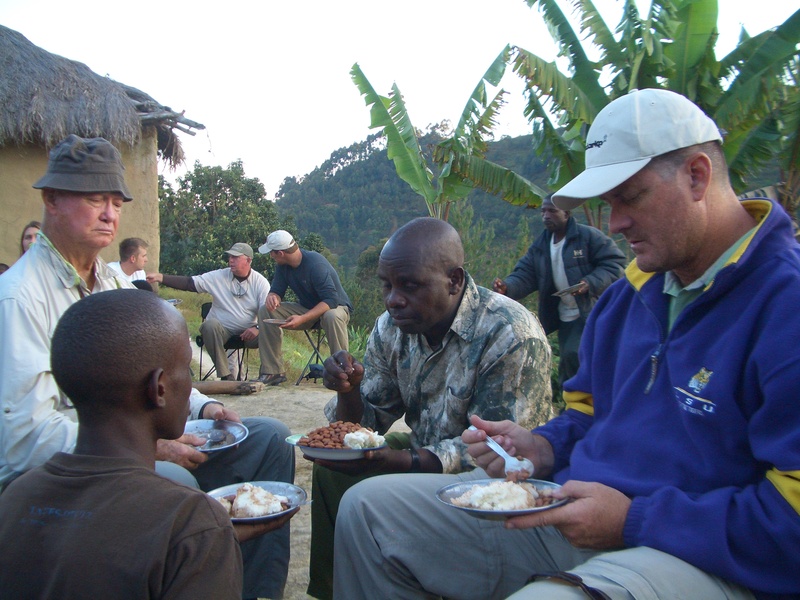 All of us at the men’s Saturday Morning Breakfast at Skeeters feel blest by having you spend time with us telling us about all of your group’s trip to Tanzania. May God CONTINUE to bless you!